By Chris Williams: Manny Pacquiao (56-5-2, 38 KOs) is putting on the finishing touches for his training camp to get ready for his November 22nd fight against Chris Algieri (20-0, 8 KOs) in their catch-weight fight at 144 pounds at the Cotai Arena, Venetian Resort, Macao, in Macao S.A.R., China. Roach is saying that this is one of the best training camps the 35-year-old Pacquiao has had before in his many years of training the Filipino star. Roach feels that Pacquiao has been doing everything that he’s asked for, and has done well against the three sparring partners Viktor Postol, Mike Jones and Stan Martyniouk that he brought along with him to the Philippines to help Pacquiao get ready. Roach also said Pacquiao had one of his best training camps for his fight against Juan Manuel Marquez in 2012, as well as his fight against Tim Bradley that year. We saw what happened to Pacquiao in both of those fights. He tasted defeat on both occasions. Roach can brag about Pacquiao looking great in his training camps against the hand-picked sparring partners he finds for him, but it doesn’t mean a whole lot because anything can happen once he gets inside the ring. Roach is also predicting a knockout victory for Pacquiao, which is something Roach has done for many years. 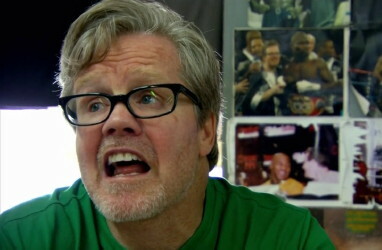 The knockouts dried up for Pacquiao in 2009, but Roach is still predicting them like clockwork. Roach believes that the key for Pacquiao to beat Algieri is to throw a lot of combinations. That style of fighting would be perfect for a stationary fighter that stands still or someone who comes straight at Pacquiao like Ricky Hatton did in their fight many years ago. However, Algieri likes to move a lot, and he never stands still for any length of time. In other words, Roach has been wasting time by having Pacquiao follow a game plan that he won’t be able to use against Algieri, because he won’t be stationary on November 22nd.